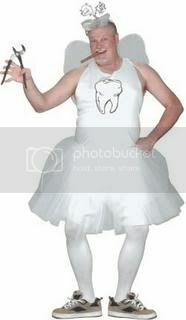 ...Is the Tooth Fairy Next? He's been giving out 2 and 5 dollar bills for years. Go back to giving out quarters? Wouldn't it cost just as much money to reinstate the quarter pillow [the one with the little pocket on it]? Although, the distribution of those pillows would create millions of jobs for the labor fairies.